My eldest has just over 1 week left of our first year at primary school. It’s unbelievable just how quickly time has flown. 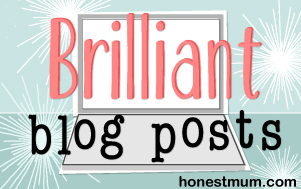 Pink Pear Bear wrote an amusing post recently about what she’s learnt in her first year at school (as a parent). Which got me thinking about our own first year at school. Last September when we were all starting the new routine with some disturbing levels of anxiety and trepidation, I wrote this post about 6 Things You Don’t Expect When Your Child Starts Primary School. Now, some 10 months later, I can see just how much things have changed and yet in other ways, how some things have remained completely the same. 1) Alice is happy to go to school! I’m THRILLED to say the main change we have experienced since September is that I no longer have to carry Alice kicking and screaming out of the house and bundling her into the car every day to go to school. Back in the autumn it absolutely broke my heart that she was clearly so upset and bewildered by the change in routine. Back then I wrote about how I needed wine to cope on the school run. I think a lot of it was down to the fact that she’s the youngest in the year (born at the end of August meant she’d only just turned 4 when she started school) and was still emotionally very young. A lot of it was also down to our life at home – losing my father-in-law and not getting a primary school place at an of our chosen schools. 2) The stuff she can do. It’s unbelievable to think that 10 months ago, Alice couldn’t write her name or read at all. Now she loves writing and will often write out a page of text at a time. She can read really well and has apparently been doing “taking away” and “dividing” too. When you stop to think, how much has changed in terms of their learning, it’s amazing. 4) Organisation. I’m having to be a lot more organised about school stuff. I can not tell you just how many bits of paper, emails and notes on the class room door we have to contend with. Blink and you’ll miss something. Next week, the final week at school there is something happening every single day that I need to remember to do. Heaven help me if I forget to send in money for a certain extra curricular activity or forget it’s some kind of dress up day or forget that certain colour of t.shirt is needed for Sports Day or if I forget that there’s a certain lunch activity going on. This is on top of the usual weekly planning of school dinner choices / packed lunch options and contending with daily notes and invitations to kids parties being discovered in the book bag. 1) Sergeant major. I’m still a complete sergeant major in the mornings. In order to get everyone out the door somewhere near to being on time, I still find that I’m shouting out those bossy instructions like “Teeth”, “Toilet”, “Shoes”, “Car”. 2) Mystery. I still have absolutely no idea most of the time what Alice gets up to all day. I always ask her on the journey home how her day was and what she got up to and I can guarantee that most of the time she will say “fine” and “not a lot.” I may get told a random couple of facts about something that happened just as she’s about to go to bed, but otherwise, her day and what she gets up to really does remain on the whole a complete mystery to me. 3) Tiredness. OK so she’s not asking to go to bed at 4.30pm anymore like she was in October, but I’ve noticed that when we’re approaching the end of any term or half term, Alice definitely starts to get crotchety and play up (more than usual). 4) Arts and Crafts. I’m still crap at arts and crafts. But where my poor attempts to “make stuff” was once confined to the privacy of our own home, it’s now having to be paraded into school. Not great when you see what some of the other kids are taking in compared to your humble offering. Who knows what Year 1 will have in store for us in September and whether we’ll notice even more changes, but bring on the summer, I’m ready for a rest! Have you noticed any major changes after your child’s first year at primary school? I’d love to know! Thanks for the mention! This made me nod, I can totally relate. Sounds as though we had a very similar start to school with our girls. It’s heart breaking isn’t it?! Mine is much happier now. Apart from the tiredness! Love your photo with megaphone. Never thought I’d be a shouty mum but it creeps up on you doesn’t it. I can relate to all of this! It really is amazing how much they’ve learnt in just 10 months isn’t it?! We have no idea what our daughter gets up to all day either! What a big transition. I’m so glad you now no longer have to carry her kicking and screaming. It makes such a difference when they enjoy it. I’m an English teach albeit at a secondary school and I love the way you’ve photographed her work to document her progress. I teach Child Language Acquistion to my A Level Language group and we look at examples of writing all of the time to learn about stages of development. She’s come on so much from not being able to write at all when starting. N’s a January birthday, and he still can’t (actually he mostly refuses) write more than a few words before getting bored. Writing thank you cards was painful, but I was surprised that he did them with only a little checking with me. His reading still isn’t the most fluid compared with most in the class, but his maths (mostly the practical stuff) is very good. I don’t see much of a physical change in him, compared with some children. He finished today so I was looking at his photo comparison, but apart from being a little taller I don’t see the difference. He was in virtuall full time nursery beforehand and had been since age 1, so there were probably fewer social settling in things to go through compared with children who’ve gone to totally new schools/areas (he knew 9 out of the 18 kids before going, and older children up the school. Glad it’s going well for Alice now. Roll on year 1, but not before a great holidays. My School Days linky goes up on Sunday (I hope), so do come and link up this post. Will be the last one before it stops for the holidays. Oh the Sargent major! It gets worse in High school. Getting teens out the door on time is a nightmare. Really? I was hoping it would get easier with older kids….! Wow. I bet that time has flown by. It sounds like some major changes. And what a relief that Alice is happy to go to school now as it must be heartbreaking to leave your child upset. Don’t worry, I am HOPELESS at arts and crafts too! Your attempts looked impressive! My poor child – I need to get practising. My daughter has just finished her first year of school today, her lunch slip for next term said Otter and we’ve changed our Mummy Facebook Chat to Otter Mums. Feeling very emotional! But so right so many amazing changes. So glad you’re little one enjoys school and what a beautiful girl she is. Huge well done on her achievements this year, aren’t they amazing?! 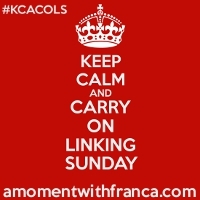 Thanks so much for linking up to #KCACOLS Hope to see you back next time!